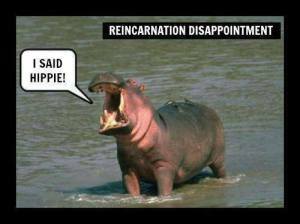 Laughter the best medicine – Hippies, Beethoven and Natural Born Citizens! My online friend with a wonderful collection of humour has kindly donated some more to my buffer… She wishes to remain incognito… but I am very grateful. Then he realizes the music is Beethoven’s Ninth Symphony and is being played backward. Puzzled, he leaves the graveyard and persuades a friend to return with him.By the time they arrive back at the grave, the Seventh Symphony is playing, also backward. Liking is Lovely, but Sharing is Caring.